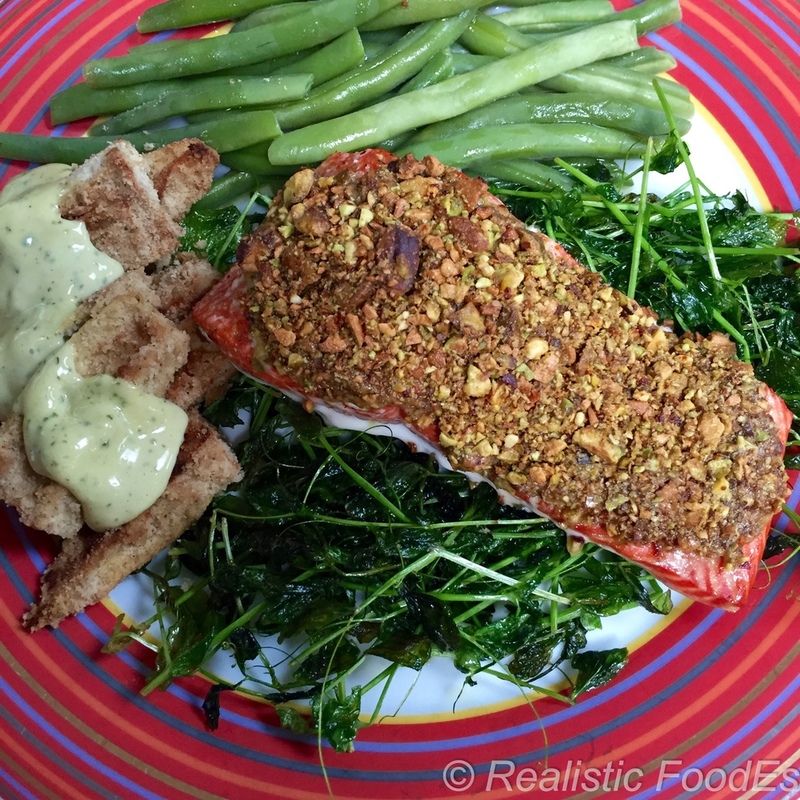 Pistachio Crusted Salmon. Wild Caught Copper River Salmon. YUM!! Sleep Time & Quality: 7 hours. Exercise: 1,530 Steps (6.0 Miles) and 9 Hours of Good Posture. Morning Walk w/ Tim & Boys, Walked 9 holes of golf. Breakfast: Frittata w/ Eggs, Ground Beef & SautÃ©ed Greens, 1/4-C Almond Flour, 1/2-tsp Baking Soda, 1-tsp Cream of Tartar. Lunch: Tuna Salad w/ Celery, Roasted Pumpkin Seeds, Homemade Avocado Oil Mayo. Carrot Sticks. Dinner: Pistachio Crusted Salmon, Steamed Green Beans, Zuke Fries w/ Homemade Avocado Oil Mayo.